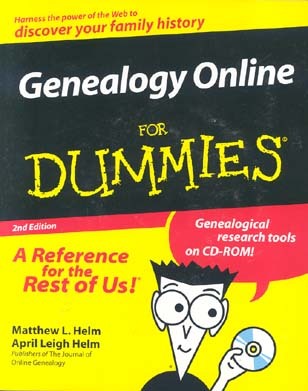 PaperbackThe Helms have put together an excellent introductory guide to doing genealogical research online. They've avoided the usual trap of organizing their book by resources, which may be easy for the author but makes it harder on the user. So instead of devoting this chapter to useful Web sites, that chapter to valuable newsgroups, and so forth, they've organized the book in a way closer to the way you'd organize good family research.